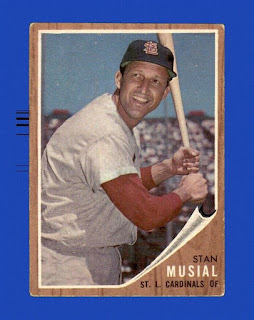 TRIVIA QUESTION: Stan Musial is likely the most famous person from Donora, PA, but two other Major League players hailed from the same city. Who were they? ANSWER TO TRIVIA QUESTION IN THE PREVIOUS COLUMN: When Pete Rose first stepped to the plate in his first plate appearance ever in the big leagues, it was Monday, April 8, 1963. He faced right-hander Earl Francis of the Pirates and promptly drew a walk. One out later he would come around to score on a Frank Robinson home run. Sometimes when the writing is on the wall you really wish the text were written one year later. Such is the case of one of the greatest to ever play the game of baseball; Stan Musial. For more than two decades Musial, the Donora, PA native, patrolled the outfield and some at first base for the St. Louis Cardinals. He hit milestones with the bat which would make him a $30 million a year player today. When he retired after the 1963 season, his final salary was $50,000. Musial was voted to the all-star team in every year he played. He missed the 1945 season due to military service. He went into the Hall of Fame with an amazing 93.2% of the vote. He finished with 475 home runs, a lifetime BA of .331 and nearly 4000 combined RBI and Runs Scored. And he was a good fielder. The point of the story is when he retired. 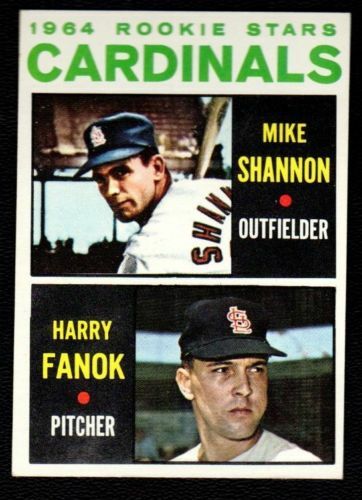 The 1962 Cardinals finished in sixth place. A year later they finished in second. Musial had an amazing 1962 when you consider he was 41 years old and still batted .330 with 19 homers in over 500 AB's. He fell off as could be expected in 1963 at age 42. He dropped to .255 and just 12 homers in 124 games. It was only the second time his average dipped so low (he also hit .255 in 1959). With young Mike Shannon, a power hitting and good defensive outfielder pushing for a chance to play, and with an aging body on the line, Musial hung them up. If he'd have hung on for one more year the headlines would have read "Musial Bows Out a World Series Champion!" The Cardinals did indeed go to the World Series in 1964 and they beat the Yankees in seven games. Musial was watching from the good seats at that point however, and oh how the fans would have loved to see no. 6 on the field for those seven games and go out a winner. Shannon would eventually move into the infield and play third base after Kenny Boyer was traded to the Mets after the 1965 season for Al Jackson and Charley Smith. The Smith experiment didn't pan out so when Roger Maris arrived in 1968, Shannon became the permanent fixture at third. As for Musial's records; he led the league in hits six times. In addition to those seasons he belted more than 200 hits twice (6 times overall). Nine times he had more than 40 doubles (thrice hitting 50), five times he led the league in triples while hitting the 20 mark twice, in six seasons he hit at least 30 home runs and led the league in batting seven times (.376 in 1948). Add to that 10 times driving in over 100 RBI and 11 times scoring 100 or more and you have one of the greatest compilation of numbers you will ever see, and never see again in MLB. AND; Probably the most amazing statistic when it comes to consistency. Musial had the exact same number of hits "on the road" as he did "at home." In both cases he had 1815 hits in his career for 3630 total. Stan Musial truly was "The Man."